Bodyweight training or calisthenics, like kettlebells, has it’s roots in history. “The Greeks knew that calisthenics produced not only great power and athleticism but also grace in movement and beauty of the physical form.” (1) The word calisthenics is derived from the Greek words kallos and sthenos meaning “beautiful strength.” (1) Perhaps the most famous example of calisthenics in history is that of the Spartan warriors. 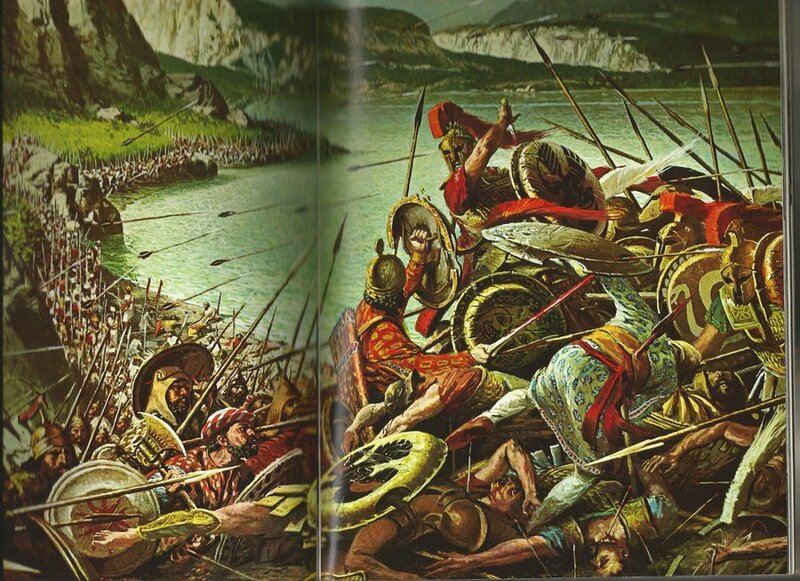 The Spartans army of 300 held off the Persian army led by God-King Xerxes which we know from Zack Snyder’s film “300”. This knowledge was passed from the Greeks to the Romans and was the training used to prepare for the Ancient Olympic Games. Fast forward to the 19th century and bodyweight training was still being widely used. In fact, in my research the earliest form of a barbell in historical records was in 1854 (2). As we progressed into the second half of the twentieth century gyms became populated with free weights, machines, and equipment. The ushering in of new equipment almost eliminated the practice of bodyweight training. 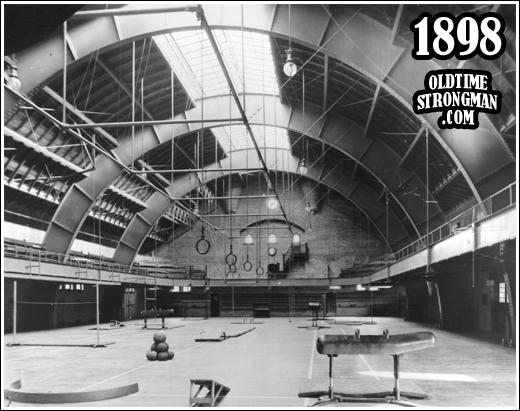 1898 Gymnasium at Ohio State University Armory. 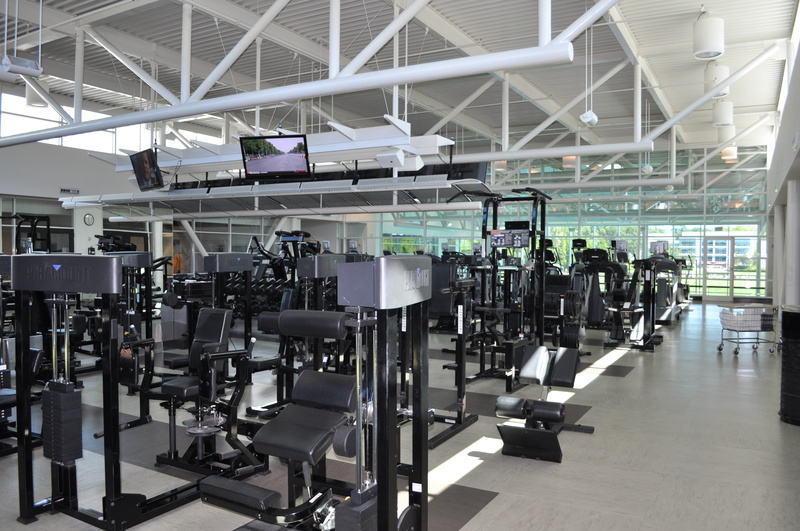 Modern Gym. Note the lack of sunlight that comes in compared to the turn of the century gymnasium. Bodyweight training can be done anywhere, at anytime! Bodyweight training exercises are mostly compound exercises. This means you are working multiple muscle groups and will burn more calories. Great for lightweight rowers. Bodyweight training helps develop coordination. Higher level bodyweight exercises require timing and rhythm to complete the movement. Rhythm is pretty important in rowing. Pavel Tsatsouline performing the one arm-one leg pushup in the Naked Warrior DVD. How can it help rowers? Bodyweight training is a phenomenal way to strength train. One of the reasons I value bodyweight training is that as an individual progresses, the exercises become self-assessments. Similar to my last blog article on kettlebells the higher level exercises identify asymmetries. If you can do a pistol squat or one arm pushup on one side but not the other that is something that needs to be evaluated further. It could be a lack of mobility, stability, or strength – it depends on the individual. The value lies in identifying these imbalances and working towards balance and harmony. This will help rowers gain greater symmetry and development. Bodyweight training is also incredibly convenient. As the training season progresses and traveling to the strength and conditioning room is no longer realistic it is still very possible to get in a quality strength training session right at the boathouse or regatta. How do we go about training for maximal strength you ask? Tension. Pure Tension. Tension = Force. By tensing your muscles, you are recruiting more motor units and building greater strength. Here is a quick experiment you can do that shows just how powerful learning to tense your muscles can be. Sit down on a Concept2 Ergometer. Now try taking the next 10-20 strokes while you brace your abs at the catch. A split second before the catch think of someone punching you in your stomach. You will tense up! Apply this tension right before the drive phase and you should see an immediate drop in your splits. Try it again but this time pull your belly button in. It should feel weaker. Leave your comments below and let me know what you think. Be sure to share this article with the toolbar on the right hand side of the page! Note: I will cover this concept in greater detail in future blog articles on the pistol squat, one arm pushup, and other bodyweight exercises. 1) Wade, Paul. Convict Conditioning. Dragon Door Publications, Inc. 2009. Print. 2) Todd, Jan. From Milo to Milo: A History of Barbells, Dumbbells, and Indian Clubs. Iron Game History; Volume 3 Number 6. 3) Tsatsouline, Pavel. The Naked Warrior. Advanced Fitness Solutions, Inc. Print. 4) Baechle, Thomas R; Earle, Roger W. Essentials of Strength Straining and Conditioning; National Strength and Conditioning Association. Human Kinetics. 2008. Print. Bracing at the catch has a definite impact on stability and power through the drive. Great tip from this year’s coaching with Joe! Kathy, Thank you! I’ll never forget how the boat started taking off after that :).